Over the course of our latest field study, the WPAMC Class of 2018 encountered the varying landscapes that comprise the American Northeast. Lush green mountains, slowly meandering rivers, bustling cities, and gently rolling hills all came together to comprise the great outdoors north of Delaware. More than a backdrop for the beautiful historic homes that we visited, these spaces informed us about the dynamic relationship between people and the land that they lived on – both the ways in which the land shaped human activities and the ways in which people have manipulated the land to suit their purposes. Gardens, in particular, speak to this active relationship between man and land. Over the course of our latest field study, the gardens that we visited taught us about the different educational purposes that they serve for visitors today. The gardens that we saw tended to fulfill one or two interpretive goals, capturing a particular aesthetic moment in the history of a property or serving as a place to teach visitors about labor and foodways of the past. These categories are not mutually exclusive, but investigating these two approaches presents an opportunity to consider the significance that gardens add to the history and material culture of a particular historic site. One historic home on our trip sought to recapture the outdoor aesthetics of the past. Beauport is the former home of Henry Davis Sleeper, interior designer and friend of Henry Francis DuPont. In addition to decades spent collecting and arranging, Sleeper spent decades designing a gradated garden to envelop his carefully crafted home. 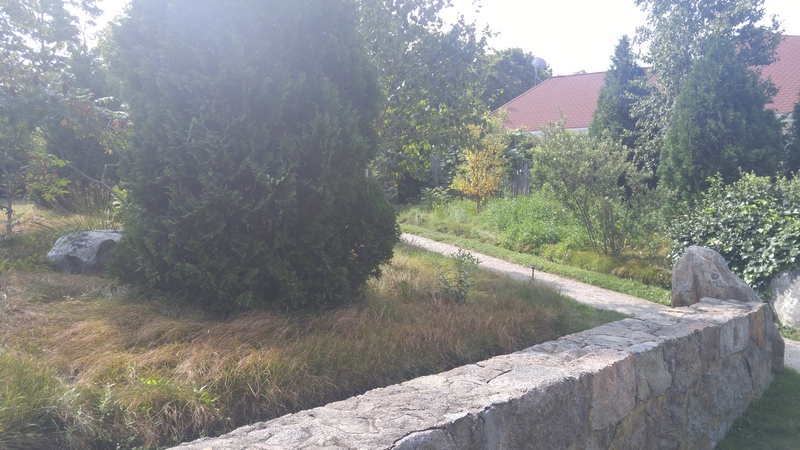 The entrance to the garden features an expanse of plants native to Massachusetts; arranged to look naturalistic, the species in the first few feet of the garden highlight Sleeper’s vision of Gloucester’s wild beauty. As you get closer to the entrance to Beauport, the landscape becomes more manicured. An emphasis on greenery is traded in for flowers, the two spaces separated by a stone wall. 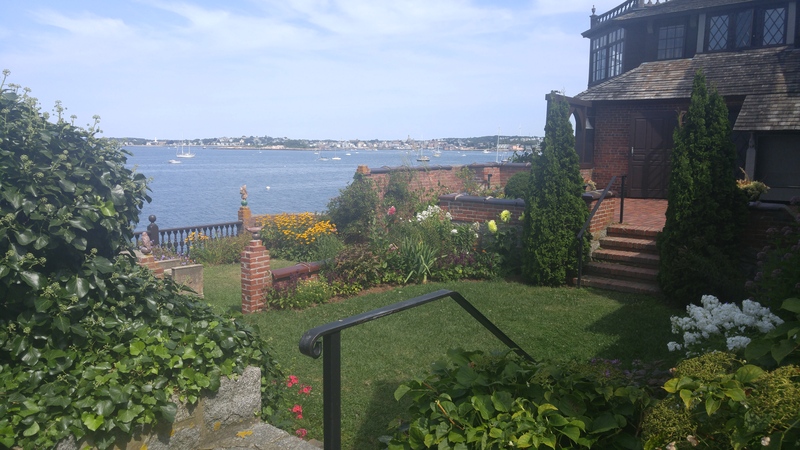 This all leads to the brick terrace at the rear adored with flowers overlooking Gloucester Harbor, a space where color, trimmed plants, and orderly design reign supreme. This arts and crafts garden speaks to his eye for color, design, flow, and thematic pairing when arranging a space, indoors and out. Sleeper used the philosophy that shaped the interior of his home for the exterior as well. 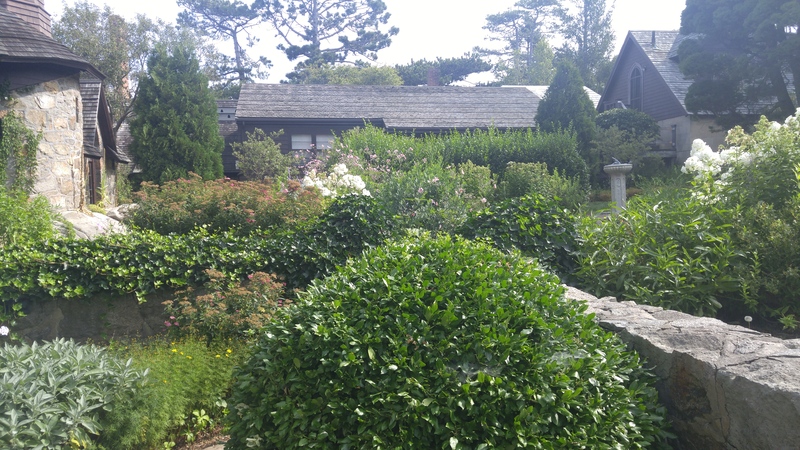 While Beauport educates guests about Sleeper’s design aesthetics in the early 1900’s, we visited a second space that uses gardens to educate visitors about the substantive farming in the 1890’s. Billings Farm & Museum is an active dairy farm that also includes a historic farm house from 1890. Formally occupied by farm manager George Aitken and his family, this historic site featured a meticulously arranged heirloom garden that recreates what the Aitkens would have grown for themselves. 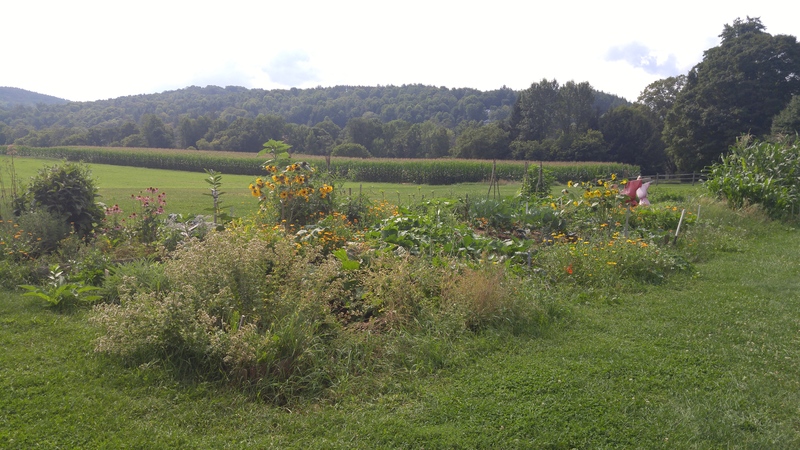 The garden includes plants used for dye such as calendula, herbs such as lavender, and food such as corn all grown in harmony on the same plot of land. Tours are available for the gardens for those seeking additional information, but each plant also features a label indicating what is growing there. 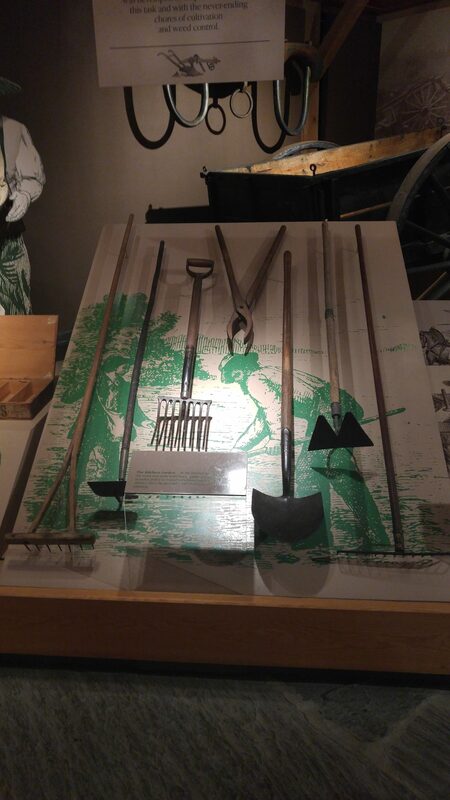 The museum also includes a complimentary display of tools that would have been used in a personal garden like the one on the property. 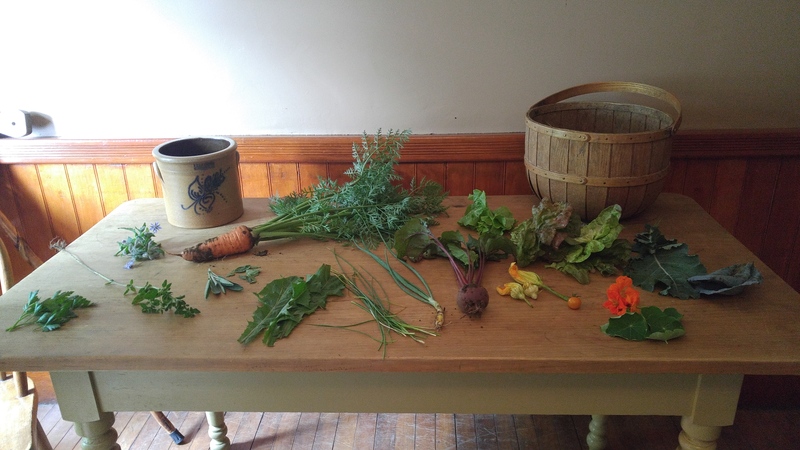 The interpretation for the house further invites guests to learn about subsistence farming through doing; guests can clean and chop plants harvested for the garden in the historic farm house’s 19th century kitchen. Eventually Billings Farm and Museum hopes to add a dining component to their educational roster using food from the garden in recipes from the 1800’s. This garden served as an example of the ways in which recreations of historic gardens can serve as a teaching tool for visitors curious to learn more about historic foodways in the past. Our northern field study introduced us to both the material culture of the region and the local flavor at each individual stop. Examining the gardens was a wonderful opportunity to see the ways in which the people of the past incorporated the outdoors into their lives and how those interpreting their lives in the present work to help that legacy thrive.